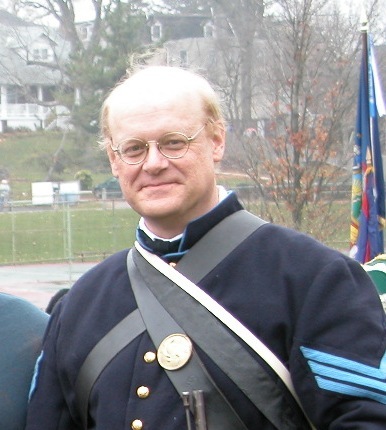 Polioptics - Episode 109, with guest Dr. Allen Guelzo, author of "Gettysburg: The Last Invasion"
Allen Guelzo is our guest this week. Original Air Date: July 6, 2013 on SiriusXM “POTUS” Channel 124. Here’s hoping all of our U.S. listeners and readers are is making this most of this holiday weekend – the 237th anniversary of our Union. Where are you today, among the Purple Mountain’s majesty, across the fruited plain, somewhere, from sea to shining sea? A special shout out, if you will, to my son Toby and his fellow campers at Camp Walt Whitman in Piermont, New Hampshire, hopefully playing baseball and cooling off with juicy watermelon under the hot July sun. They don’t have satellite radio at Walt Whitman, or indeed electronics of any kind, but it’s nice to think of that boy just the same. It’s worth noting, too, Walt Whitman, the man, as well. For while we celebrate 237 years of Union, we also mark this week 150 years since the storied crusade of disunion – the sesquicentennial – of the High Water Mark of the Confederacy, the battle of Gettysburg, fought between the Army of the Potomac and the Army of Northern Virginia. Three days of fighting across the farm lands and gentle hillsides of Central Pennsylvania amounted to what Allen Guelzo calls “the Last Invasion” of the United States. I walk’d on to Armory hospital—took along with me several bottles of blackberry and cherry syrup, good and strong, but innocent. Went through several of the wards, announc’d to the soldiers the news from Meade, and gave them all a good drink of the syrups with ice water, quite refreshing—prepar’d it all myself, and serv’d it around. Meanwhile the Washington bells are ringing their sundown peals for Fourth of July, and the usual fusilades of boys’ pistols, crackers, and guns. The first time I visited Gettysburg, I was probably 7. My dad, usually cautious, put me on a large horse, which I remember accelerating to an unplanned trot. After a hundred yards or so, the horse’s forward momentum was arrested by the outstretched branch of an oak tree that left me sprawled on the ground on my back, temporarily wounded, unlike the 50,000 or so dead or wounded who clashed between North and South. Ever since then, that place, and that battle, have fascinated me, from the tactics and strategies of moving forward men under arms to the dueling political and economic philosophies that cut America in half. Joining us on this special Fourth of July Weekend edition to talk about that battle, the war that surrounded it and the ideas and ideals at stake 150 years ago is Dr. Allen Guelzo, the Henry R. Luce III Professor of the Civil War Era and the Director of the Civil War Era Studies Program at Gettysburg College. 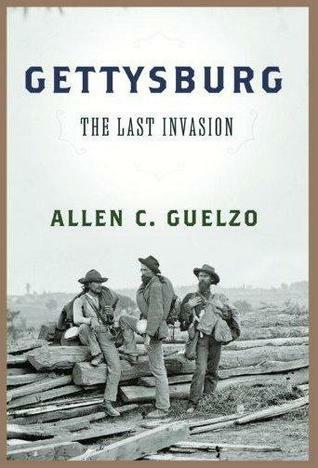 Dr. Guelzo is the author of the just published monumental cyclorama of a book: Gettysburg: The Last Invasion.